A portion of a large mural painting from the rear wall of Cave 61 at the Mogao Caves, Dunhuang, China (c. tenth century CE). 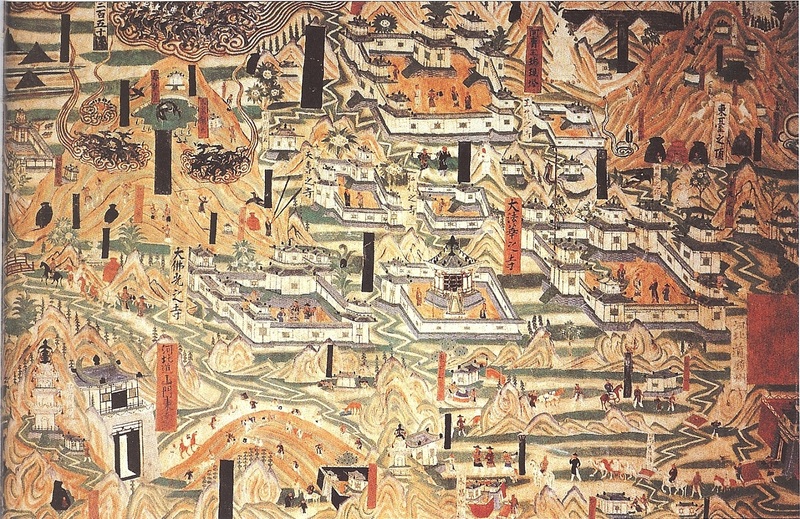 The mural depicts the area around the sacred Mount Wutai in northern China, including Buddhist monasteries, stupas, and temples. This entry was posted in Art, Religion. Bookmark the permalink.